There are many paths to the work-at-home lifestyle — from joining a direct sales company, to telecommuting for a large corporation or even starting your own business. While I can offer up advice on polishing your resume, how to prepare for a job interview, or tips for finding the right products to sell from home — the biggest challenge for most women is finding legitimate work-at-home job postings. To help you with the most difficult part of your job search, here are some reputable places to find legitimate work-at-home jobs. Let’s start with the obvious, here on The Work at Home Woman we have TONS of pages with work-at-home job leads. The only problem was that they were all scattered around because they were posted as they were found — so here they are all listed in one convenient place. While you can start looking on some of the major job board sites like Career Builder or Monster for telecommuting positions, the niche related sites are a much easier and quicker way to go. Here are the online job boards that I trust and recommend for finding work-at-home positions. This is my favorite job board to find flexible work options (freelance, part-time work, telecommuting, flex positions, and contract work). Yes, it costs a small fee to join, but it’s well worth it. All the jobs are hand screened for legitimacy, so you never have to worry about scams. This alone saves you tons of time, but, what I like about FlexJobs is their search functions allow you to customize your job search by specific factors, like employee vs. independent contractor, part-time vs. full-time, and so on, again saving you time. If you're dissatisfied with the service you can request a full refund; it’s also worth noting that they are a member of the Better Business Bureau and your paid membership comes with a bunch of discounts from brands like Turbo Tax, WorkOptions, and SitterCity. Founded by well-known work at home advocate, Lesley Spencer Pyle, Hire My Mom is a professional job board for moms. Membership is just .33 cents a day or $29.95 per quarter. Job seekers must have a minimum of 1-2 years of experience in their area of expertise, as well as a high level of honesty, professionalism, and integrity. Because Hire My Mom ensures the quality of each of applicant, they can attract top-notch employers who allow telecommuting arrangements. Make sure to check out all of their testimonials from moms who have easily found work at home jobs from Hire My Mom. This is one of my favorite free sites to use when searching for work-at-home jobs and here's why. Indeed is an aggregated job board, which means their platforms pulls job listings from all the other major job board sites. This means you save tons of time because you don't have to search each job site individually. While the jobs are not screened, Indeed does requires that all listings contain a company name, location, job title and complete job description. Job seekers are also able to view the entire job description, and there's never a fee to apply. Is a job site for remote tech, marketing, and customer service jobs. Each job is hand-picked and manually reviewed by the Jobspresso team. Jobspresso is 100 percent free to use and has been featured on Forbes, Inc., CIO, and many other reputable sources. Is a professional staffing company, that matches experienced professionals looking for flexible careers to top companies looking for professional talent. Simply register, search flexible job postings and apply – yes, it’s that easy! This job board caters to freelancers, so if you write, blog, do web design, internet research, are a programmer, app developer, or a marketer — make sure to check out Upwork. Just register for a free account, search thousands of freelance projects and submit a proposal. Once you submit your proposal, Upwork will add a small service charge of 8.75 percent to the quote, which the client is responsible for covering. 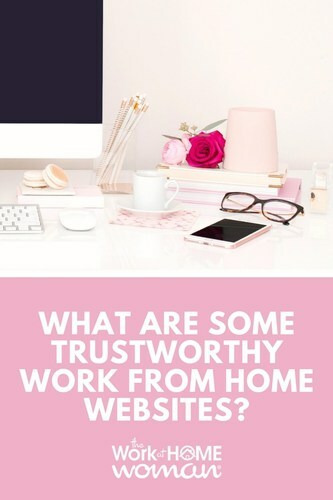 While there are LOTS of work-at-home blogs on the web, with new ones popping up every day, I have a short list of resources that I trust for legit work-at-home job leads. The sites listed below are fellow publishers who I know or have worked with in some capacity. Launched by Staffcentrix in 1999, Rat Race Rebellion is a highly respected company that specializes in home-based careers. Each day they offer new work at home leads where you can search for new opportunities or by category. Just be careful when using the site, they also have Google ads which look very similar to the leads, sometimes Google ads can lead to shady opportunities. The publisher of Real Ways to Earn Money Online, Anna Thurman started her work-at-home journey taking surveys, writing articles, and working for sites like ChaCha. Through these side gigs, she was able to replace the income she had previously earned outside the home. Even though she was earning a steady income, she was amazed at what was going on in the work-at-home world and decided to start her own blog. On Real Ways to Earn Money Online, you can find job leads, informational articles, reviews, and ways to make extra pocket cash. Angie Nelson started her home-based career as a Customer Service Rep for Arise, while she was getting her virtual assistant business off the ground. 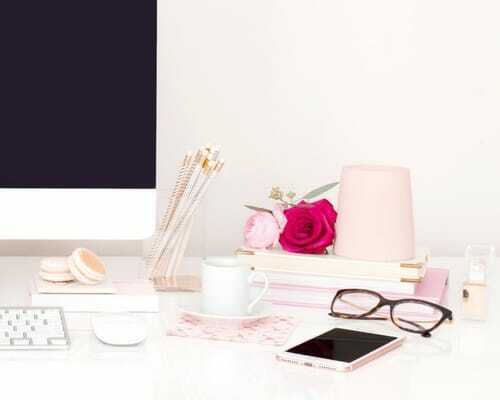 Because she constantly received questions from people on how they could start their own VA business she decided to launch a blog so she could share her journey with others. Today Angie publishes information on side hustles, blogging, telecommuting positions, and home business ideas. Lisa Mills, the publisher of Work at Home Mom Revolution started on her home-based career path by freelance writing, selling antiques on eBay, and operating a used book business. Today Lisa works from home as a Transcriber and Blogger where she shares new telecommuting positions and ideas on her blog. Wanting to earn an income while caring for her kids, Leslie Truex built her site, Work at Home Success in 1998 on MS Publisher. While her site was one way to make money from home she also worked in real estate, direct sales, and freelance writing. On Work at Home Success, you can find telecommuting job leads, home business tips and information, and scam alerts. If you're uncertain about a job lead or company, check them out with the Better Business Bureau and Glassdoor.com. These two sites will give you a wealth of information about the company and their hiring practices. Next, perform a Google search and see what results come up. Often if an individual has had a poor experience with a company they often will post about it online. If you're still struggling to figure out if a job is legit, always trust your gut — your intuition is most often right. For additional scam prevention tips, check out this post. Which sites do you recommend for finding legit work-at-home job leads? Originally published July 12, 2013. Content updated March 30, 2018. I am trying to find a work at home job that will allow me to use my satellite internet. I live out in the country and that is all we are able to get. Do you have any suggestions. Prefer a phone job taking orders or the like. Thanks in advance. I found GenuineJobs to be a very good site that povides lots of legitimate work at home opportunites. Thanks for sharing the list of options to search for work from home jobs. The details will surely help many readers in earning regular income while working from home. Thanks for sharing Real Ways to Earn Money Online, Holly. This is a great list! You’re welcome, Anna! Love your blog!